We are currently in the process of registering Tri4Japan as a charity and this will take a couple of weeks.Our application reference number is 5017651. In the meantime, we are able to take immediate donations via TCL Sports online payment system. When it is safe to do so, we will visit Kamaishi and identify a project to support that will have tangible results. At this time even rescue teams are unable to get to Kamaishi so we will put all efforts into fundraising until it is safe to visit the area. 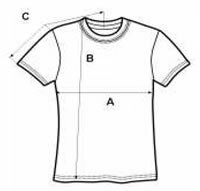 Please use this option if you would like to donate money without receiving T-shirts or if you would like to donate more on top of £10 for Free Tshirts. We can take money from any currency, the amount deducted from your card, will be in pounds and the exact amount will depend on the exchange rate at the time of the transaction. TCL Sports will hold donations until our bank account is established and we can set up a JustGiving account for donation payment. When this is in place, all donations will be immediately transferred to the Tri4Japan account. 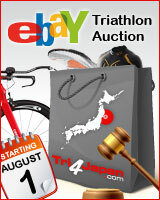 TCL Sports will take no profits in any way from providing this interim service to Tri4Japan. TCL are a registered company, number 05306472. 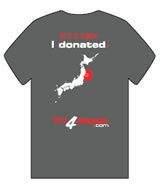 Show your support with a Tri4Japan t-shirt, make a donation for £10 in the UK and we'll send you a free 'Tri4Japan' t-shirt. 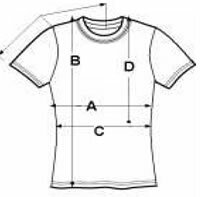 For t-shirts to be despatched outside the UK we ask for a £5 shipping charge to cover global delivery. TCL Sports will pay all of the cost of these T-shirts and also pay for the postage charge within UK, as a form of donation. However, those people who live outside UK will have to cover their own postage which is approximately £5, (if it is less than the amount charged the proceeds will be paid to charity) Therefore, in all cases, a minimum of £10 will go to the charity Tri4Japan. T shirts will be made within a couple of weeks, please make a donation now to receive one and as soon as the T-shirts are ready, we will ship yours to you. TCL Sports have bought 2,000 T-shirts at a "special charity price" thanks to Michael Hanreck from PAG Leisurewear. Unfortunately, as our goal is to collect donations for the charity, we will not be able to accept refunds or exchanges. Thank you very much for your understanding and cooperation.